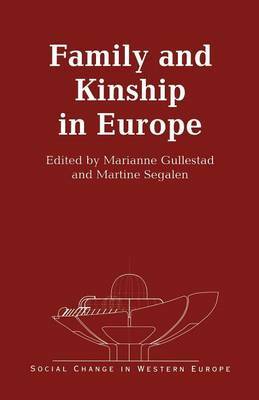 This collection of essays considers the current significance of kinship in various Western European countries along with manifestations of its cultural diversity. How do nations vary in the value they attribute to the family in this wider sense? How do the different generations communicate with one another? In what ways have questions relating to the legacy of the past and to the role of memory been rehabilitated, in order for the continuity of the family to be assured? This book declines to accept predictions made, on the basis of a common population projection, that European family life will display a common pattern. Further, across a comparison of a number of case studies, it points to a degree of diversity in European family values as revealed when one looks closely at the ways in which these values are transmitted.